Distillers line up to benefit from consumers’ appetite for premium spirits. IRELAND’S CRAFT BEER revolution is in full swing and may have set the stage for micro-distillers to start one of their very own. Since the introduction of an excise rebate for brewers in 2005, craft beer companies have slowly poached a larger share of the market from mass producers. The onset of the recession curbed the brewers’ growth at first, but as the economy has recovered, consumer’s thirst for higher quality beer has seen craft brews taking an increasing share of the Irish market. This new appetite for a premium alcoholic products has encouraged micro-distillers to try their hand at tapping into this market. Whiskey and gin distilleries have begun to pop-up across the country, with over 30 distilleries in full operation or at the planning phase. Speaking to TheJournal.ie, Maria Byrne the co-founder of Mór Irish Gin said the distilling sector had a lot of reasons to be thankful to the Irish craft beer industry. Craft beer operators have really opened the market for everybody in terms of receptiveness. Their impact has made people more open to buying premium products and getting bang for their buck. In August last year, John Teeling, the founder of the Cooley Distillery in Co Louth, had some sharp words of warning for craft whiskey distillers. Since whiskey is required to be in a cask for three years to earn the Irish stamp of approval, he said many operators struggle to survive long enough to break even. Gin does not fall under the same limitations, but Byrne said the number of other Irish competitors setting up means they still need air-tight financing options. “When we thought of following through on this idea there weren’t too many others in the market. Now that we come to the point of launching, we’ve noticed there is a lot more competition in the market,” she said. We had romantic notions that we were going to bootstrap the entire operation ourselves and through the years it didn’t work. In this business, you have to spend a lot of money before you start making money. This is why it’s so important to look at all financing options. After completing her commerce degree at NUI Galway, Byrne said the work she did for several large companies gave her the grounding she needed to start the business. This is a path that some young entrepreneurs don’t always take on board since they are too keen to follow through on their ideas. Byrne, who will be speaking at the Student Summit next week, said there are some pieces of advice they need to take on board, such as getting the right people helping you. Absolutely make sure you have an advisor. Don’t rely on just your family and your friends. Make sure you have an impartial voice that will ask you the right questions and prompt the right responses in terms of the direction you want to take your company. Mór Irish Gin plan to launch their product this March. Byrne said she and her business partner Eoin Bara have big plans for 2016 that involves working towards exporting as soon as possible. For us the main thing is to capture the Irish market, but export is where we want to go. We want to grow business as fast as we can and growing towards exporting our gin will enable us to take on new projects and experiment. 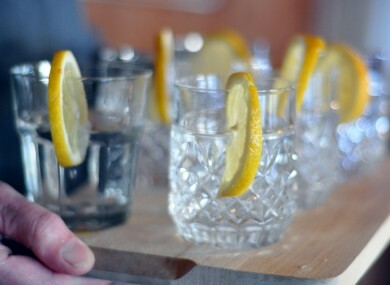 Email “Ireland's gin revolution is about to kick off”. Feedback on “Ireland's gin revolution is about to kick off”.